﻿ Hi, guys, it is me. That guy post window 10 fix, I need some help here. 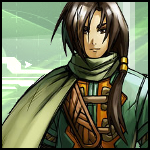 Golden Sun Hacking Community > Golden Sun Hacking Community > Feedback > Topic: Hi, guys, it is me. That guy post window 10 fix, I need some help here. Hi, guys, it is me. That guy post window 10 fix, I need some help here. this is the specific error I had before. I thought I solved it because I can open it normally. But I did not realize that it is not completely fixed. I still get this error sometimes when I open the Editor. More specifically, sometimes I can open it normally, sometimes I can't. Does anyone know how get it work? Re: Hi, guys, it is me. That guy post window 10 fix, I need some help here. ++ I have same problems. yeah, it is so stressful and frustrated. I have been thinking how to get it work. Also, man, are you new to this group? I am new. Hi, guys, that is exactly what I found here. Sometimes I got the error I presented before, sometimes I got it work. Don't know why, if anyone know how to fix it. Please let me know, I will make a new post to make sure everyone can see it. Also, reply me anytime, I check the reply every day!